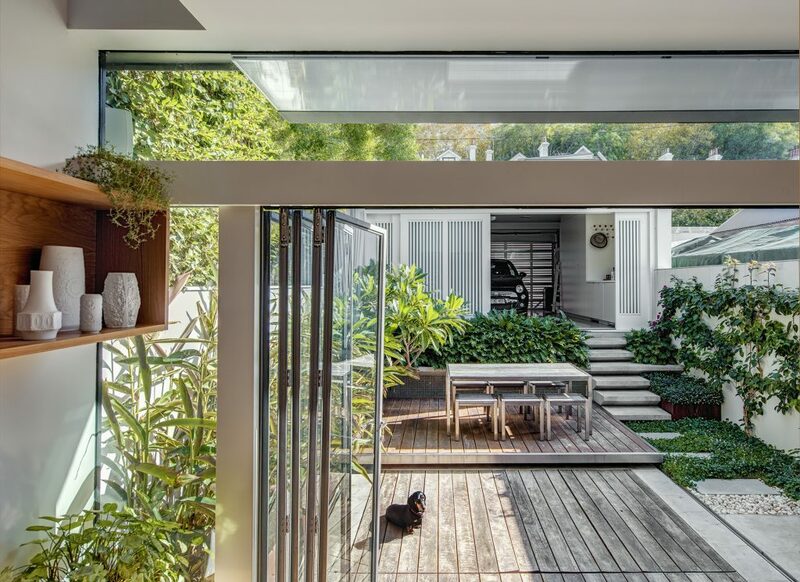 From the atriums of Pompeii to the tiny terrace courtyards of Sydney, the allure of outdoor spaces has always been a sought after luxury of contemporary living. At Roth, one of our guiding principles is ‘design to the environment’. Whether it be a sprawling farm property or a hemmed in city block with little privacy, there is always an innovative way for us to bring the environment into a design. Seamless transitions between indoor and outdoor areas bring versatility and ease to living spaces. We create spaces which, in their material choices and design, allow for traditional barriers between the inside and outside world to be dissolved. The way our clients live in and use their homes will change over time; whether it be the growth of children, additions to the family, or a change in lifestyle and it is our belief that good design will be malleable to change. Creating multidimensional indoor and outdoor spaces allows our designs to have that flexibility. 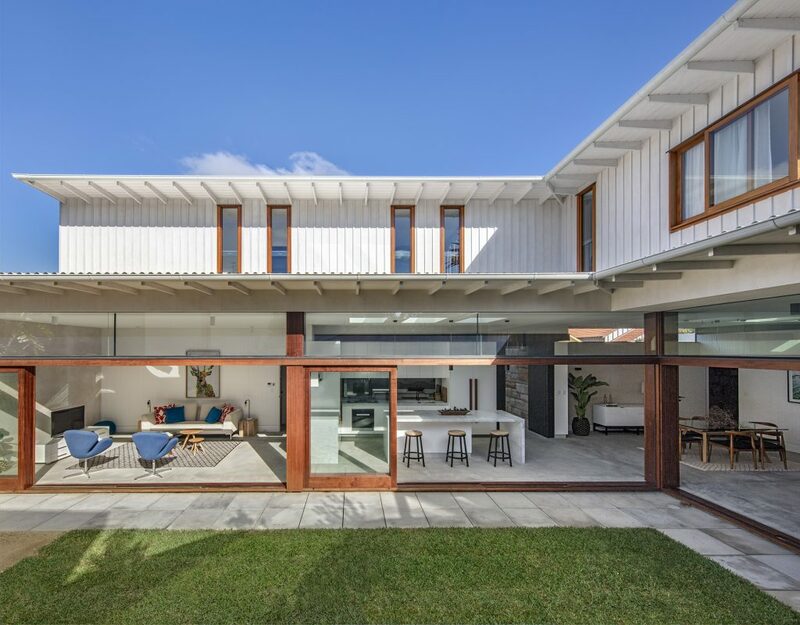 There is not a set, definitive purpose for each space, but a fluidity throughout the design, outdoor living spaces seamlessly combine with indoors. The key to an uninterrupted merger is to remove the obstacles which users are accustomed to seeing. Moving load bearing elements down from the ceiling level and replacing them with glass, not only allows natural light to fill a space but creates an edgeless expanse which flows to outside, taking the eye with it. 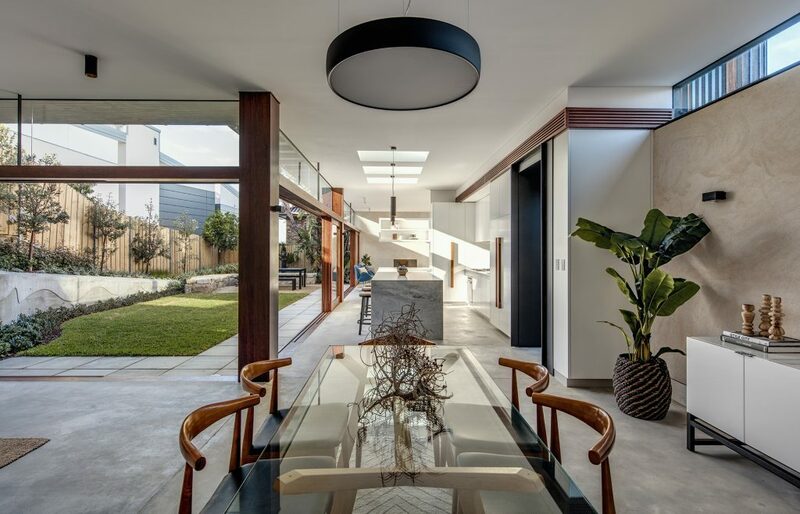 The beauty of well-designed indoor/outdoor living is its lack of dominance in a home. Light wells, courtyards, and gardens, in our homes, are interval rooms. They are negative space, like a void which has come into being by virtue of the solid forms that surround it, intrinsically tranquil in their presence. Yet within this serene presence, is held an important role in the lives of its occupants. Robert Nelson, author of The Courtyard Inside and Out, puts it beautifully that interval rooms are “presence which is made of absence”. Courtyards largely turn their back on the outside world, which lends all courtyards a peaceful and protected air; they often suggest intimacy and conversation and share a brightly echoing acoustic (Ettouney & Fricke, 1973; Oldham & Mohsen, 1979) in which anyone arriving is somehow heralded by the amplified clipclop of feet or horse shoes (Matteo Bandello, Novelle 2.11).